Renting your property in Marbella can be a stressful and time-consuming task that many avoid doing and hence losing out on a lot of revenue that can potentially be gained by renting your property in Marbella. Many people decide to get maximum ROI by renting your property in Marbella to short or long-term renters, especially if the market is down and selling isn’t an option, or if you have purchased the property in Marbella to eventually be able to retire in. The rental options are endless but might bring you more trouble than you bargained for, so prepare yourself properly and see your investment grow year by year so you can make the most of your investment. Firstly you have to ask yourself, is being a landlord something I can handle next to my regular daytime job? Especially when renting your property in Marbella and residing overseas, being a landlord to a Spanish property might not be the easiest of tasks. Luckily there are many estate agents that can look after your rentals for a percentage of your income so you could decide to let the experts deal with the hassle that comes with renting your property in Marbella. A good rental agent would look everything to do with your property rental so all you have to do is cash in the rent cheque at the end of each month. You might be insured, but you still need to look after the paperwork if serious damage is done to your home. This here of windows breaking, fire damage or water damage. The list could go on and on, so make sure you know what you are getting into and arrange for a professional to look after all these issues for you so you don’t have to. This way, your house stays in good condition until the market has picked up again and you are ready to sell. The trick to renting your property in Marbella faster than other is in the presentation. Especially with such a high supply for rental properties both for holidays and long term rentals, you need to stand out from the crowd and the only effective way without jeopardising your rental income is assuring your property looks comforting and welcoming to all types of public. Make sure your property is decorated in plain and warm colours, nothing overboard as your renter might want to add their own touch to your property and it will be easier for them to see the “bigger picture” if your house is decluttered and plainly decorated. Another advantage of plain decoration is that you can easily identify damages at the end of the rental term. You need to have comfortable furniture in your property, this will help many renters to make a decision to choose you above others. Don’t just throw together some old furniture you pick up at the second-hand store, really invest money in good quality furniture that will last you for a long time. You will have many different people living in your accommodation, and they will use your furniture a lot, so strong reliable furniture will pay off eventually. This is a job that can easily be left with your estate agent as they have the contacts and often the contracts for online portals already in place to ensure your property is advertised everywhere. 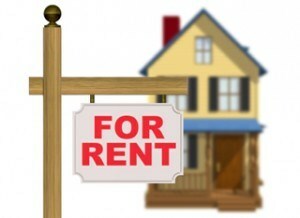 If you decide to do it yourself, just “google” property rentals in your area and see what portals come up. Then contact them and ask for a quote on the advertisement. There are many free portals out there too where you can add your property, so go for it and list your property wherever you can, just remember to write down your login details somewhere safe so you and take the listing down once your property has been rented out. Especially if your property rental is aimed at holiday rentals, you will need to have so you will rent your property faster. When people decide to go on holidays to any particular destination the first thing they will do is go online to see if they can find a bargain price for rental accommodation. Many online portals dedicate their services to holiday rental, so you want to stand out by offering your potential client a perfect picture of what their holidays will look like. Adding a virtual tour or a video to your property listing can potentially increase your rental income by 50%. 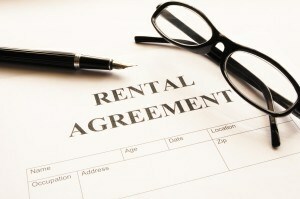 More people will rent and when demand is high, your price can go up! One of the many positives of letting a local real estate company look after renting your property in Marbella is that they will do all the screening for you. They will get the right documentation from your tenants and ensure the full deposits are received in time. This is important as you might be too busy with life that you forget to ask them for a reference, and before you know it you have a non-payer on your hands, and they are hard to get rid of! Not only is it important your tenant pays their rent in time, you also want them to look after your property, and with a good screening, you will know soon enough if this tenant is a reliable and respectful person or if they should be avoided like the plague. Space Marbella has the experience and the knowledge to look after renting your property in Marbella and have a great track record of very satisfied homeowners who have successfully rented their properties through us for many years now. Contact us if you need more information or are simply in need of some advice, our doors are always open and our coffee is served fresh!